My late Summer Report reflects the diversity of issues that challenge the District leadership, members and staff over the course of our focused work to improve the health and well being of New York's children and strengthen pediatric practice to deliver clear and positive health outcomes for our child patients. This year, despite the highly dysfunctional and chaotic legislative session, we were able get two major bills passed; an autism insurance bill and the newborn hearing screening bill. Several other bills of interest passed, including one that requires the State Department of Health to offer all parents educational materials describing the value of flu immunization for all children, one that basically tracks AAP policy on offering HIV testing and counseling to high risk adolescents, (but includes all patients from age 13 - 64 so it is not just a pediatric bill). We were also able to stop several anti-immunization bills, including one that would have provided a philosophic exemption so broad that it would have permitted any parent to refuse immunization for any reason. But we were unable to get the legislation requiring meningococcal immunization for 7th graders passed through both houses. It is probable we can get this one done next year. We were also very active in working with the Senate and Assembly on negotiating a final version of a "back to play" concussion bill. The session ended before either version of the legislation passed both houses. But it is very close. And it is possible that should the legislature come back into session this fall, they may pass a version of this legislation. The challenge now is to understand what we need to do to get the Autism Insurance bill signed by the Governor. Stay tuned. We may be asking you to act before the end of the summer to help assure the New York State health insurance coverage pays for evidence based, peer reviewed and clinically proven autism treatments. 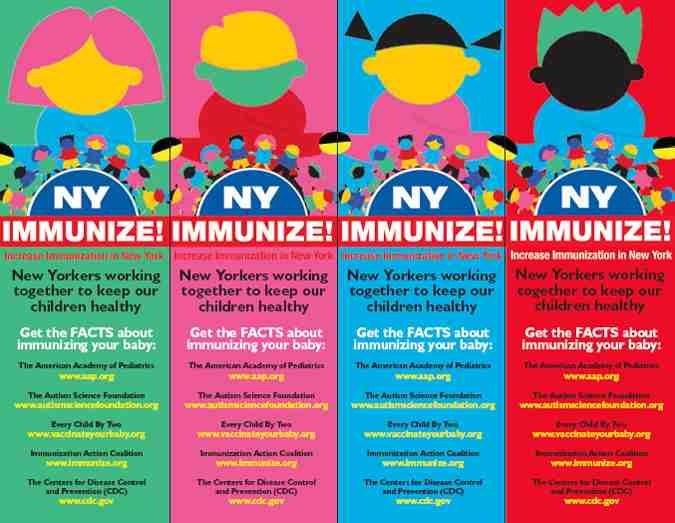 AAP District II is presenting the NYS Immunization Stakeholders' Congress on September 14th in New York City at the Affinia Hotel in mid-town. This meeting will bring together pediatricians, vaccine manufacturers, insurers, representatives of the State Department of Health, representatives of County Health Departments, and other interested parties to discuss issues related to immunization in practice, the role of the media and the development of public perceptions both for and against childhood immunizations. We have recently surveyed our members and found that 80% of those who responded spent time dealing with parents hesitant to allow immunizations. Also more than half of respondents indicated that they were spending more and more time talking with parents who initially refuse vaccines. Half of respondents also had issues with the current economics of immunization in the office based practice. We therefore believe that the Congress should be of interest to most members of the District. The Congress will be moderated by Dr. Louis Z. Cooper, past President of the National AAP, former President of District II and a long time, forceful immunization advocate. Two panels of key experts have been assembled; one to address issues of practice such as costs/the economics of immunization, administration/office issues, storage, availability, schedules distribution, etc. The second panel will examine public attitudes, the role of the media and the growing anti-immunization concerns. Space is limited, so if you are planning to attend please email your name, email address and affiliation to jgeslani@aap.org as soon as possible. Our District Children's Mental Health training project has been launched. Training, provided to the project by the REACH Institute, for pediatricians and family physicians, has already taken place in Syracuse. The Training in Buffalo, which is fully subscribed, will be Aug. 6. Click here for more information about upcoming REACH trainings in Rochester, NYC and on Long Island, or you can contact Elie Ward at eward@aap.net. In addition, Four Winds Foundation in Saratoga Springs, will be providing its CAPES (Child & Adolescent Psychiatry Education and Support) for Primary Care Clinicians training for pediatricians in the Capital District area and up through northeastern New York. The details of these trainings are still being developed. Statewide implementation of the project will eventually train and provide ongoing consultation and support to over 200 pediatricians. It is hoped that after successfully completing this phase of the project, the State Office of Mental Health and the State Department of Health will be able to work with AAP District II to expand access to training and consultation support to all pediatricians interested in providing children's mental health services in the primary care setting. Along with the National AAP Election for President Elect, our own District has two offices that are up for election. Please review the candidates' bios here. Electronic Ballots will be sent from National AAP on August 2nd, so please look for them and make sure you make your voice heard and VOTE! Thank you.